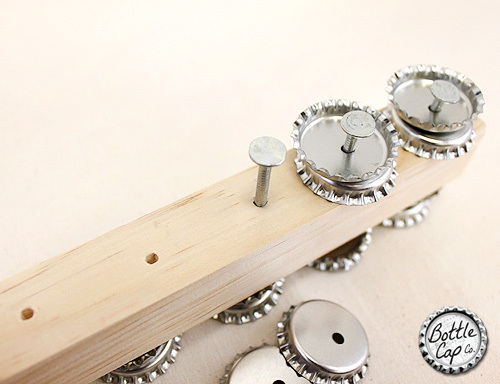 Figure out how you would like to place the bottle caps on your wood dowel. The photo below shows one idea. 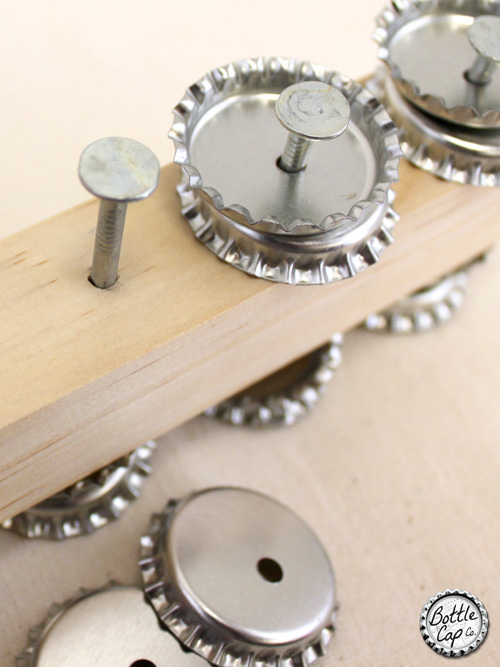 It can also be fun for the kids to flatten the bottle caps with a hammer before attaching them to the dowel. (always fun to take a hammer to something and smash it!) Another idea, if you have some spray paint and a little more time, add some color to your instrument by giving the bottle caps a quick coat of paint before attaching them to the dowel. Since the nails are wide, I highly suggest pre-hammering the holes where you would like to place your bottle caps. Hammer them enough to where the nail will stand up on its own. Then pull the nail out with the claw of the hammer. 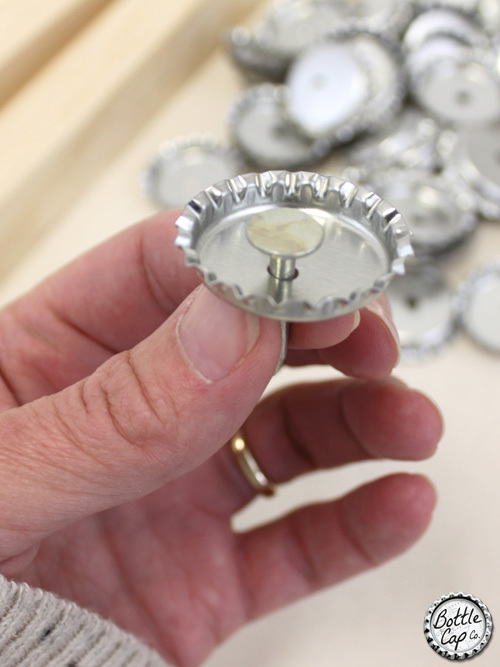 Set your bottle caps over the hole and place the nail through the center and into the hole. The nail and two bottle caps will stand up on their own. Next, hold the dowel firmly in place with your hand and give the nail a good whack, or two or three. 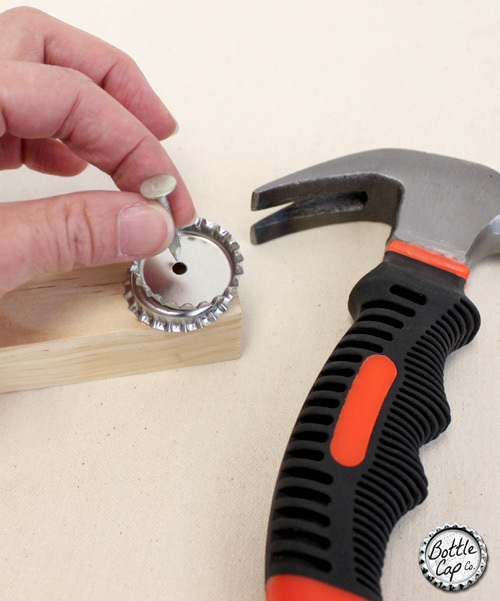 If you've pre-hammered the holes there is no need to hold the nail with your fingers. (Much easier on your fingers!) One more tip, don't get the nail too deep in the wood or the caps won't shake very well. The photo below shows about how deep to hammer the nail. The set on the far right have been hammered into the wood. The second set, in the middle of the photo, has not been hammered yet, only placed into the pre-hammered hole. You can see how it sits in place on its own because of the pre-hammered hole. The third nail, on the left, shows about how deep to pre-hammer the nail hole. Hopefully this helps! 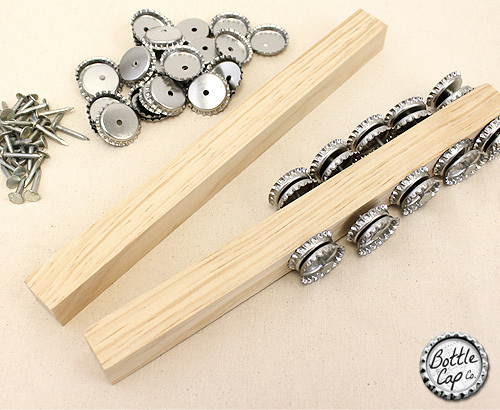 You can see that there are plenty of bottle caps and nails to make two shaker instruments! Have fun! 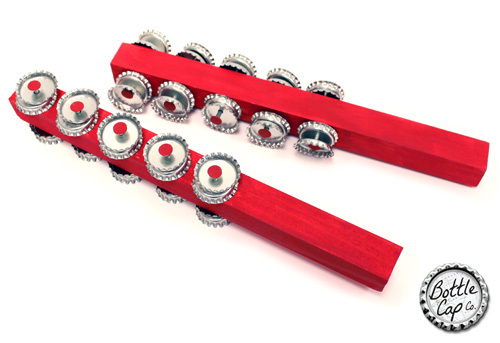 Here is an idea for adding some color to your bottle cap shaker instrument. 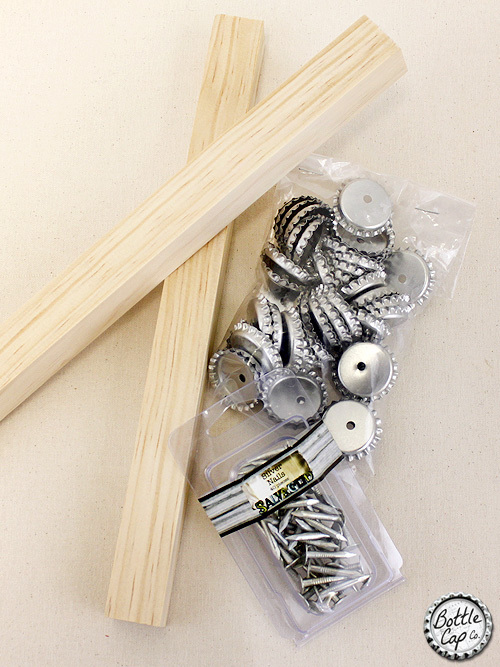 Paint your dowels and nailheads with craft paint. 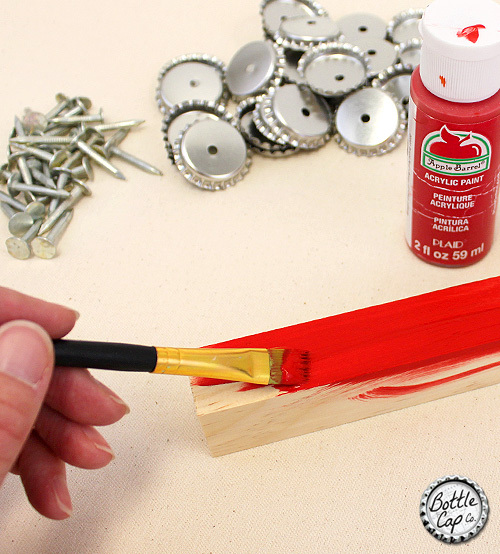 This step should go first because it's much easier to paint your wood dowels before adding the bottle caps.